New Delhi [India] March 29 (ANI): The fiscal deficit will remain within 3.5 percent of the gross domestic product (GDP), said Finance Ministry's top economic affairs official on Thursday. New Delhi [India], Jan 1 (ANI): Senior diplomat Vijay Keshav Gokhale will succeed Dr Subrahmanyam Jaishankar as the Foreign Secretary, after the latter completes his tenure on January 28. New Delhi [India], Nov 24 (ANI): Secretary of the Department of Economic Affairs (DEA) Subhash Chandra Garg on Friday termed Standard & Poor's (S&P) rating of India's debt profile as "reasonable", adding that the report was "cautious" this year. 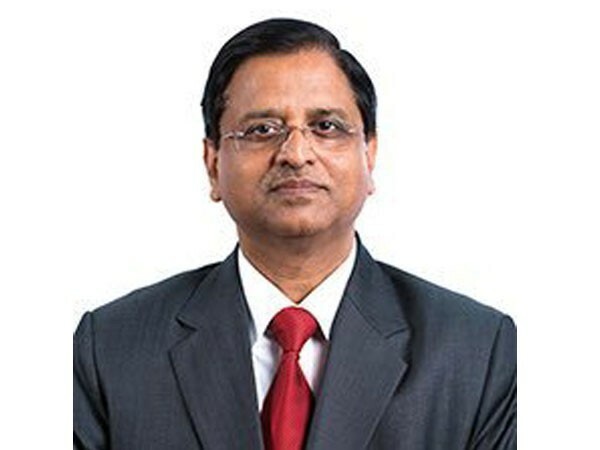 New Delhi [India] Nov. 17 (ANI): Moody's has recognised India's structural reforms, said Subhash Chandra Garg, Secretary, Department of Economic Affairs (DEA), on Friday. New Delhi [India], Oct. 31 (ANI): After World Bank announced India as one of the five fastest reformers on Tuesday, India Economic Affairs Secretary Subhash Chandra Garg said the government is now hopeful of an increase in private investment. New Delhi [India], Oct 24 (ANI): Economic Affairs Secretary Subhash Garg on Tuesday said that Goods and Services Tax (GST) has been the biggest tax reform, along with other ones like demonetisation and the battle against black money. New Delhi [India], July 12 (ANI): Former Executive Director of World Bank Subhash Chandra Garg on Wednesday took charge as the Secretary, Department of Economic Affairs under the Ministry of Finance. New Delhi [India], May 31 (ANI): Economic Affairs Secretary Shaktikanta Das on Wednesday announced his retirement as the Corporate Affairs Secretary, after being associated with the Government of India for almost 37 years. New Delhi [India], Nov 8 (ANI): Hailing Prime Minister Narendra Modi-led NDA Government's move of banning high denomination notes, Secretary Economic Affairs Shaktikanta Das on Tuesday dubbed the endeavour as powerful, bold and decisive.